During Denver’s warmer months, flies can become overwhelming. 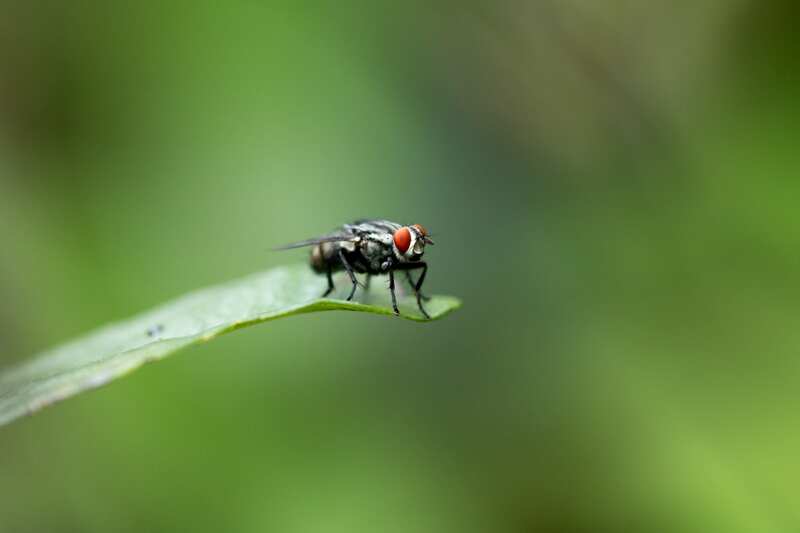 Flies are nuisances that easily spread bacteria all around your property and totally ruin your time outside. Lawn Doctor can both eradicate pests that are currently on your property and prevent future swarms from happening. Other pest companies may offer options in Denver that only bring temporary relief from fly infestations, but our pest control solutions are proven to be long-lasting and safe for the environment. Flies breed quickly, making them difficult to get rid of in Denver. The exterminators at Lawn Doctor are here to help with state-of-the-art strategies and products that halt flies before they can overtake your property. We use a comprehensive 4-Service Yard Armor Program in Denver that locks down lawns and makes them inaccessible to flies in the future. Lawn Doctor’s experienced technicians will spray your perimeter four times a year to ensure you remain fly-free throughout every season. Inside, we apply a minimal number of treatments because we want to keep you safe. When it comes to fly removal, Denver residents don’t want their properties to doused in chemical-heavy products that can be dangerous to people and animals. Turn to Lawn Doctor for environmentally-friendly fly control. We’ve stopped using pesticides in favor of our revolutionary cedar and peppermint oil that we spraying this around perimeters to put up a natural shield against flies and pests. At Lawn Doctor, we appreciate the beauty and splendor Denver’s green spaces provide, so we are dedicated to using natural-based products in our insect control treatments. Here at Lawn Doctor, we are committed to bringing accessible services to Denver at affordable prices. It’s our policy to match competitor’s prices, so clients know they are getting professional work at a great cost. We also offer hassle-free billing, where you can auto-pay or pre-pay for your convenience. Lawn Doctor offers flexible scheduling and our exterminators will do re-treatments of fly removal spray until it is a success.